The 9th annual DELRAY BEACH ITF, held April 27 – May 4, 2019 and consisting of over 225 statewide, national, and international Boys’ & Girls’ 18-and-under players, is organized by Players International Management (PIM), host to the YellowTennisBall.com Series of over 35 USTA and ITF state, national and international amateur events. 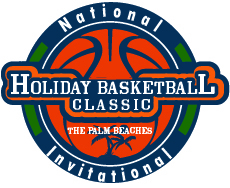 The Jupiter Jam is one of the largest amateur basketball tournaments in the state, featuring separate girls and boys tournaments. Both tournaments are sanctioned by United States Amateur Basketball (USAB). Golf tournament to benefit student-athletes at FAU. The Palm Beach County Sports Commission is partnering with Palm Beach Atlantic University (PBA) and the National Collegiate Athletic Association (NCAA) to host the 2019 NCAA Division II Women’s Golf Championship on May 13-18, 2019 at PGA National Resort & Spa’s Champion Course. Twelve (12) teams comprised of five (5) golfers each and 12 individuals not on those teams will compete at the NCAA DII Women’s Golf Championship, where a team champion and individual champion will be crowned. Torre Baseball.org is organized by Frank Torre Jr. and SACSN with the objective of celebrating the family's legacy in professional baseball while bringing attention to our alliance of charities and community programs. Briana was defined, in part, by her love of the game of softball. The Briana Marie Cox Foundation uses the game of softball to raise funds to advance its Mission. The Foundation runs a summer girls fastpitch tournament and a winter adult co-ed slowpitch tournament.